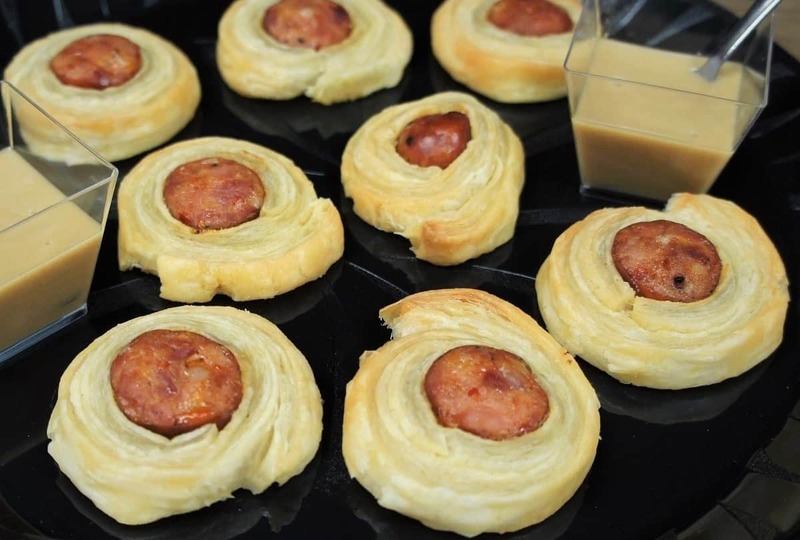 These Andouille Sausage Puffs are a fancy take on pigs in a blanket. This party favorite gets a grown-up twist with spicy andouille sausage and puff pastry. Here we serve them with a simple honey and Dijon mustard dipping sauce that complements the heat from the andouille sausage beautifully. These appetizers are very tasty and oh-so-pretty, perfect for your next cocktail or holiday party. If you’re looking for more easy appetizers try these fillo taco cups, this spinach & artichoke dip or this cold buffalo chicken dip. Enjoy! Lay the puff pastry on a lightly floured surface and gently roll with a rolling pin to seal the seams. Cut the puff pastry in half across the seams to make two pieces. Roll each sausage in one of the puff pastry sheets. Place it seam down and cut the roll into roughly 1 inch pieces. Arrange the sausage puff pieces on the parchment paper-lined baking sheet. Repeat with the remaining puff pastry sheet and sausage. Bake the andouille sausage puffs for approximately 20-25 minutes until they’re puffed and golden (check them after 15 minutes or so). 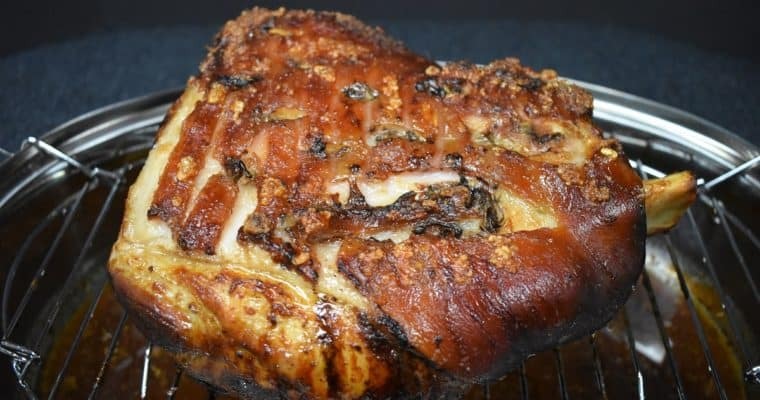 Combine the Dijon mustard, honey, mayonnaise and a pinch of salt in a bowl. Stir vigorously with a fork until combined and creamy. Refrigerate until ready to use. Arrange the puffs on a platter and serve with the honey Dijon mustard dipping sauce on the side. Enjoy! Working with one puff pastry sheet at a time, lay it on a lightly floured surface and gently roll with a rolling pin to seal the seams. 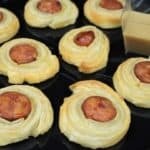 Roll each sausage in one of the puff pastry sheets. Place it seam down and cut the roll into roughly 1 inch pieces. 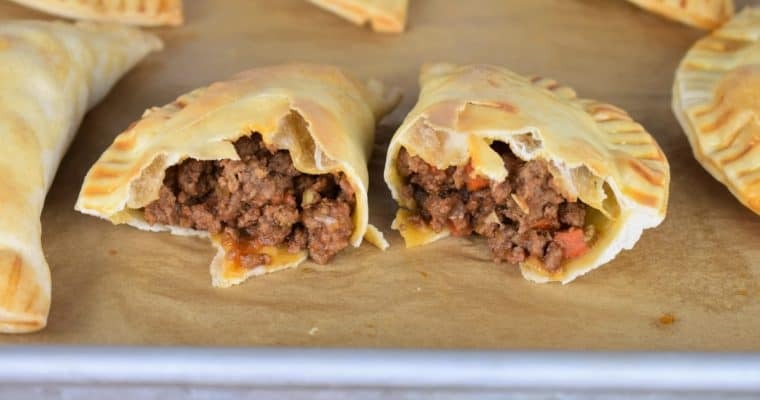 Arrange the sausage puff pieces on the parchment paper-lined baking sheet. Repeat with the remaining puff pastry sheet and sausage. While the andouille sausage puffs bake, make the honey Dijon mustard dipping sauce. Arrange the puffs on a platter and serve with the honey Dijon mustard dipping sauce on the side.